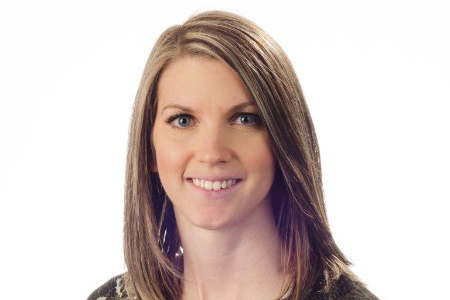 I am very pleased to announce that Jenna Farquharson Anderson will be joining the College of Pharmacy and Nutrition as the Pharmacy Structured Practice Experiences Coordinator and Instructor. In this position Jenna will report directly to Yvonne Shevchuk, Associate Dean Academic. She will work collaboratively and consultatively with Shauna Gerwing as part of the Pharmacy SPEP Coordinator team, as the College continues to benefit from Shauna’s time and expertise working on PharmD programming and implementation. Jenna comes to us from a major retail pharmacy in Saskatchewan where she has built province wide partnerships with numerous organizations and healthcare professionals. We anticipate that her contacts and the relationships she has developed over the years will benefit the SPEP program and move the College’s practical experiences programming forward in new and exciting areas in the field. Jenna is an accomplished leader with firsthand experience as a clinical rotation SPEP preceptor as well as participating as a guest lecturer for both our College and the College of Medicine. Her past experience in the coordination of clinical programs related to professional services such as: pharmacist training and mentorship, scheduling, staffing, educational resource creation, implementation, evaluation and revision, will practically assist her in successfully fulfilling the accountabilities of the Pharmacy Structured Practice Experiences Coordinator and Instructor position. Please join me in welcoming Jenna to the College on Monday, August 8, 2016. If you wish to call her, Jenna’s phone number will be 306 966-6030 and her office, for the foreseeable future, will be E Wing 4320.